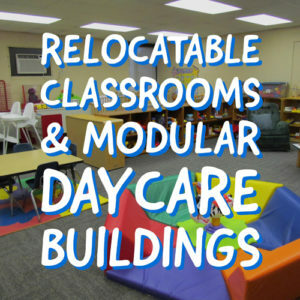 Child Care Solutions: Relocatable Classrooms and Modular Daycare Buildings - Commercial Structures Corp. According to the U.S. Census Bureau, 23% of children in the United States live with a single mother, and in families led by a married couple, more than 61% of couples are comprised of two working parents. With many parents working long, varied, or non-traditional hours; around-the-clock or flexible daycare options are in high demand. 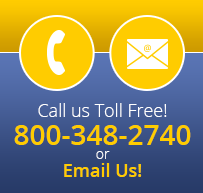 Modular daycare buildings and classrooms are proving to be an effective, cost-efficient solution to meet these needs. Many employers are looking to install modular buildings and play areas on their premises to provide parents with greater flexibility in their working hours. This also allows parents to see their children during lunch hours and breaks while offering extremely convenient pickups and drop-offs. Not only does this provide strong incentives for employees to stay with the company over time, but it also attracts job applicants — of whom there are many — who require flexibility in balancing parenting and their career. While many new mothers feel they have to choose between returning to work full-time and leaving their job completely to become an at-home mom, on-site modular daycare solutions allow these parents to still see their children throughout the day. Relocatable or on-site daycare centers not only allow parents peace of mind but also allow for significant savings, as finding affordable, trustworthy daycare options is often a challenge for working parents. Modular daycare buildings can be easily constructed thanks to their simple, sturdy designs. For employers, construction is quick, simple, and inexpensive when compared to adding a new structure to an existing facility. And though turnaround times are much faster than those of traditional structures, customization is still available, as well as the addition of high-quality interior heating and cooling systems. These buildings can also be easily equipped with the latest teaching technologies and compatibility supplies, including pre-wired video, audio and computer outlets. These modular daycares are also proving to be extremely beneficial for homeless persons. For example, private and public sectors recently joined forces in Honolulu, Hawaii, to build a homeless community center with state-provided power, water, and sewage services. Modular homes will be installed here to provide people with safe, comfortable shelter. Talks are also moving along on the construction of both modular preschool and daycare facilities in this village. Bringing together the community and improving the overall quality of life, modular buildings can provide homeless families fast relief without sacrificing quality or facility-customization options. Since 1976, Commercial Structures Corp. has worked to deliver the highest-quality modular buildings available, at fair prices. We’re committed to helping people more easily navigate today’s ever-changing world, and our modular structures are allowing clients across all types of industries to serve their communities and employees better. Our expert team handles all aspects of modular building services, from design and fabrication to delivery and final installation. With a focus on optimal safety, all buildings can be equipped with security and fire monitoring systems, emergency lighting, and exit signs. For more information on modular classrooms and modular daycare buildings, check out some photos of our previous work on our website.